KARACHI: Pakistan’s golfing ace Mohammad Munir said on Wednesday that he was looking to make his mark on the Asian Tour after qualifying for the continental events. 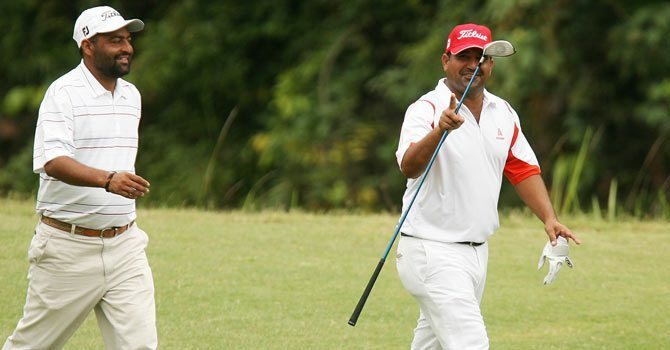 The 38-year-old Munir of Islamabad Golf Club earned the right to feature on the Asian Golf Tour after a fine performance in the Asian qualifying school. Munir played rounds of 72, 70, 66 and 75 to end with a total of 283 to confirm his place in the Asian Professional Golf Association (APGA) tour. Munir, rated as Pakistan’s number two golfer, is in the metropolis to feature in the Rs1.5 million All Pakistan Open Golf Tournament, starting at Defence Authority Golf Club from Friday. “I paid US$2,000 entry fee for appearing in the Asian qualifying school,” he said. “Good showing at the Mena Tour in the UAE and in Saudi Arabia raised my confidence level to join the Asian Tour,” he disclosed. Munir won his maiden professional event — the Ras-ul-Khaimeh Classic — and he also performed creditably in other events in the UAE and Saudi Arabia over the past few months. I think Hamza Amin also deserves some attention. Another rising star!